With Memorial Day weekend just around the corner, I’ve been thinking about all the outdoor grilling that will be taking place. But Memorial Day weekend meals in South Carolina often go a step beyond just hamburgers and hotdogs. It’s a holiday often marked with plenty of barbecue! While I can’t say barbecue is the official cuisine of South Carolina, perhaps it should be. Many state officials even say that our state is the original birthplace of barbecue, dating back to early settlement of the Spanish on Parris Island who smoked swine with an open fire pit technique learned from the area’s Native Americans. Another interesting fact about barbecue in South Carolina is that our state is the only state in the nation to be known for all four major types of barbecue sauce, depending on what part of the state you are in. While there are large regions within the United States that serve only heavy tomato sauce or only mustard-based sauce with their barbecue, within the small state of South Carolina, you can find all four official sauces: mustard, heavy tomato, light tomato, and vinegar and pepper. We take such pride in our barbecue, that the South Carolina Department of Parks, Recreation and Tourism put together an official South Carolina Barbecue Trail Map for hungry travelers to the Palmetto State. 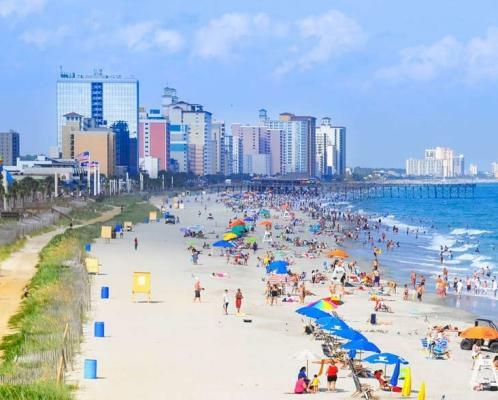 The guide boasts more than 220 restaurants and over 20 are located right along the Grand Strand or just slightly inland. While I haven’t tried all of them, I have tried most. 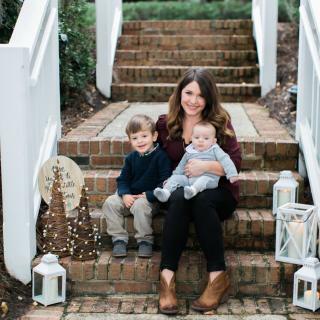 During my second pregnancy, nothing hit the spot quite like barbecue with a generous dose of vinegar and pepper sauce (which happens to be the sauce most indigenous to South Carolina coastal regions). 1913 Mister Joe White Ave.